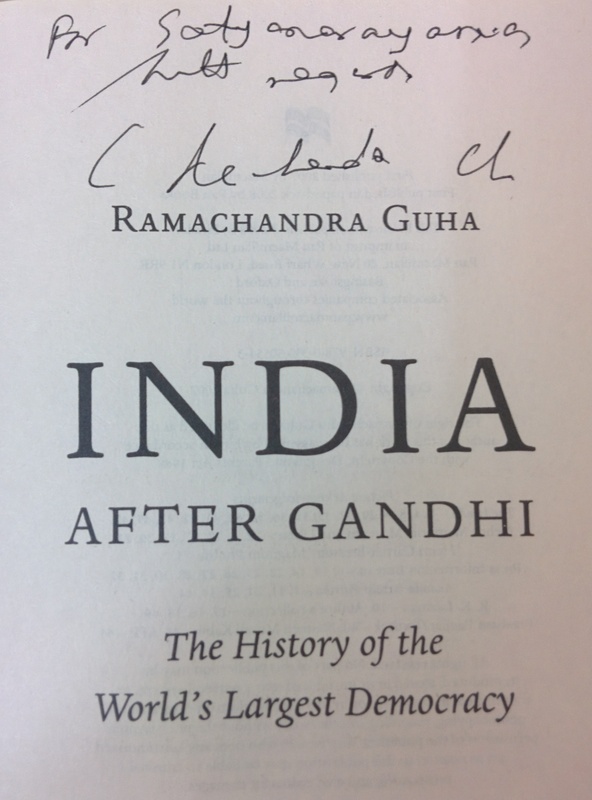 This is the day when I met Ramachandra Guha, a historian and biographer, at IISc Bangalore. I was completely enthralled and engrossed in reading his most acclaimed book India After Gandhi; it was first historical, non-fiction and a colossal book that I read. 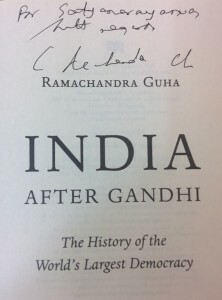 Below is the autographed copy of the book by Guha. 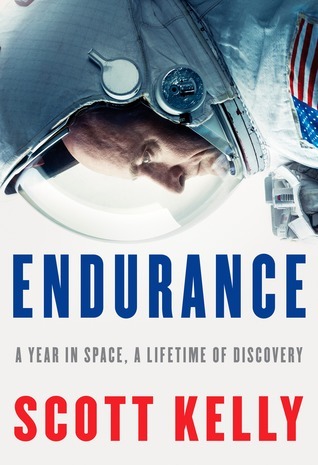 Previous: A fable on why reading is so important!